On August 31, 2006, clouds moved in destroying all hopes for meteor observations in the night. 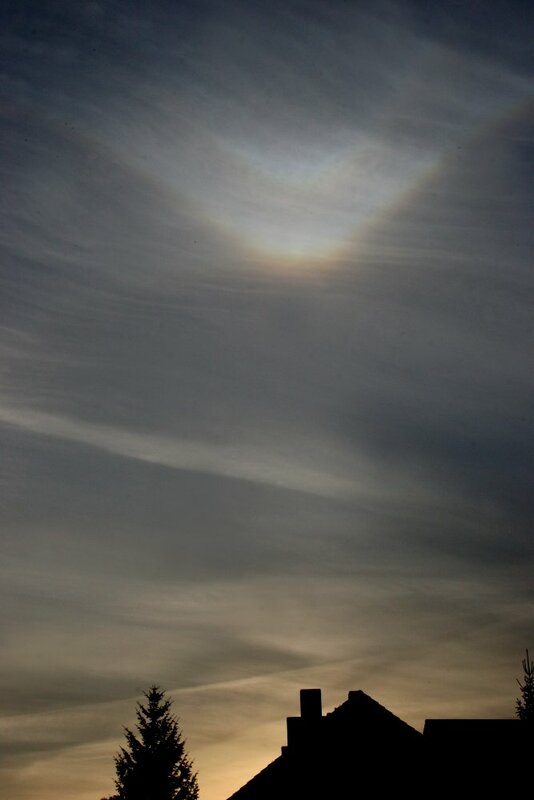 The halo display in the high clouds close to sunset (1725 UT, Sun elevation approximately 3 deg) observed by Jürgen Rendtel from Marquardt (west of Berlin, 13.0 deg E, 52.5 deg N) included intense V-shaped upper tangent and Parry arcs. 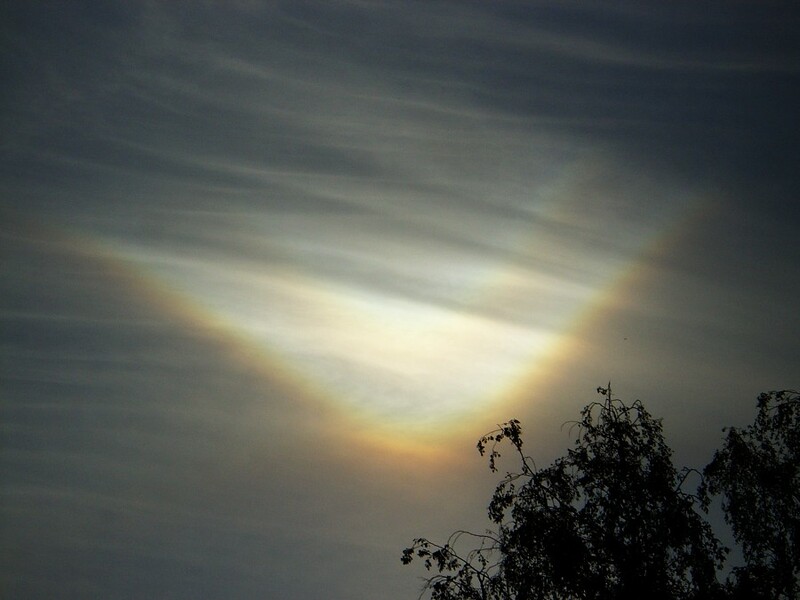 Another bright coloured 'spot' of about 3 deg apparent size was found to be part of the supralateral arc and Tape's halo. The image processing by Claudia Hinz using unsharp masking also revealed the convex Parry arc. Nice looking display! 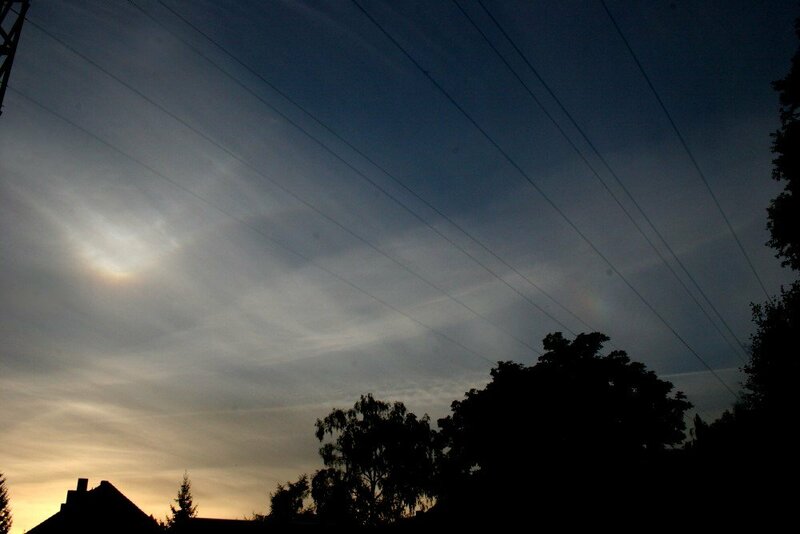 After 23 years of observing I still haven't seen this Parry in high clouds. There is a second observation of this V-shaped Parry arc, made by Ronny Klähn in the neighbouring city Potsdam. 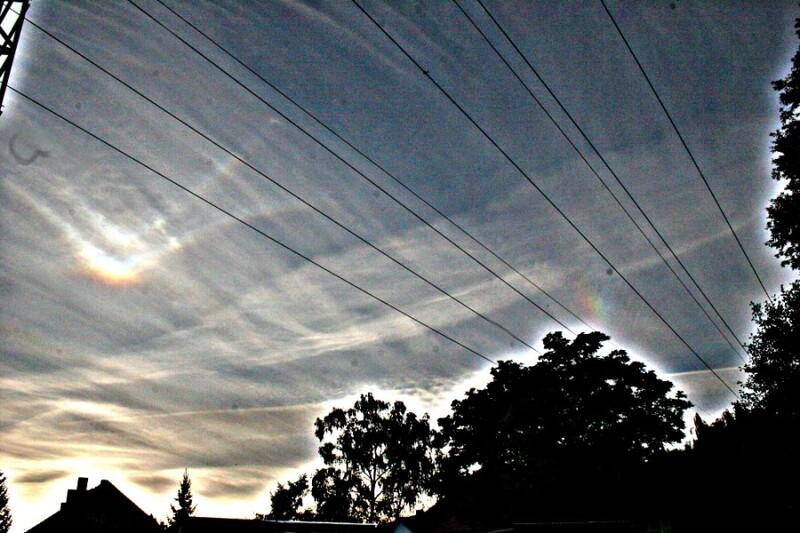 A second observation of possibly Tape's arc made Phillip R. one day later in Munich on the same weather front. I got convex parry in 2000 but that display is nice when ever you see bright parry look for tape and heliac arcs.